Item Number: H20-A1841NB Have a question about this item? 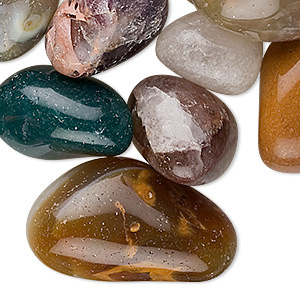 Component mix, fancy jasper (natural), medium to large undrilled nugget, Mohs hardness 6-1/2 to 7. Sold per 1-pound pkg, approximately 30-55 components. 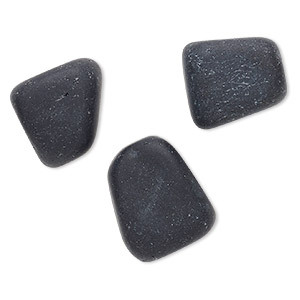 Component, obsidian (natural), matte, medium undrilled nugget, Mohs hardness 5 to 5-1/2. 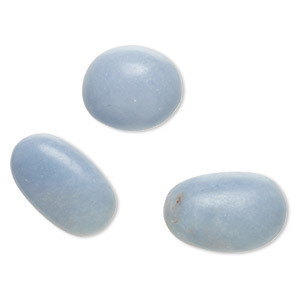 Sold per pkg of 3. 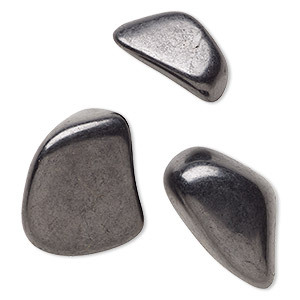 Component, obsidian (natural), medium sand-blasted undrilled rough nugget, Mohs hardness 5 to 5-1/2. Sold per pkg of 3. 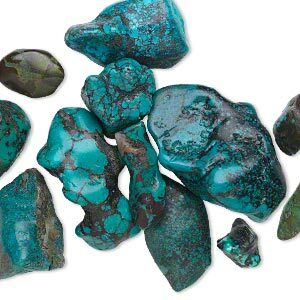 Component mix, turquoise (dyed / stabilized), blue, small to gigantic undrilled nugget, Mohs hardness 5 to 6. Sold per pkg of 12. 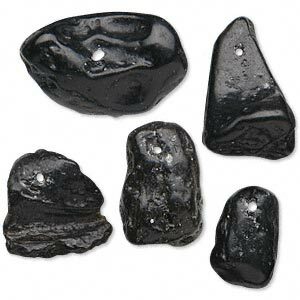 Focal mix, tektite (waxed), medium to extra-large nugget, Mohs hardness 5 to 5-1/2. 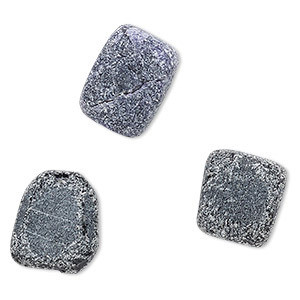 Sold per pkg of 5. 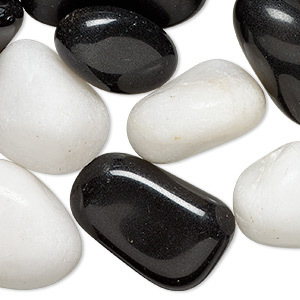 Component mix, blackstone (dyed) and quartzite (natural), medium to extra-large hand-cut undrilled nugget, Mohs hardness 6-1/2 to 7. Sold per 1-pound pkg, approximately 25-35 components. 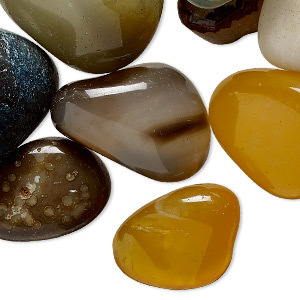 Component mix, agate (dyed), mixed colors, medium to extra-large hand-cut undrilled nugget, Mohs hardness 6-1/2 to 7. Sold per 1-pound pkg, approximately 30-40 components. 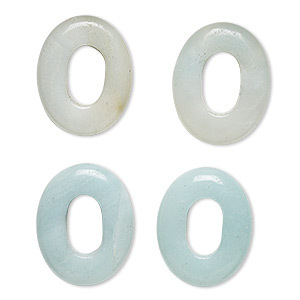 Component, amazonite (natural), 20x16mm oval donut, B grade, Mohs hardness 6 to 6-1/2. Sold per pkg of 4.